Angela Merkel’s government is apparently taking the accelerating Greek crisis in good spirits, and it isn’t hard to see why: with Sunday’s referendum, Greece’s government has taken the country’s fate into its own hands. With Berlin increasingly frustrated with Athens, that might be for the best. The most telling moment following the breakdown of German-Greek talks took place on June 29 in a snazzily renovated electricity substation, the E-Werk in central Berlin. More than a thousand guests had gathered to celebrate the 70th anniversary of the founding of Germany’s Christian Democratic Union (CDU), the party headed by Chancellor Angela Merkel. It was Monday morning, the first working day since the government in Athens called a referendum and talks in Brussels broke down. Everybody’s mind was on Greece. Europe’s stock markets had taken a beating, as had the euro. Merkel gave a lackluster speech that fell totally flat with the audience. The assembled crowd of dignitaries only seemed roused once: when Merkel praised Finance Minister Wolfgang Schäuble for working so hard to find a compromise in Brussels, the audience broke out in loud applause lasting several minutes. But Merkel’s Christian Democrats were not celebrating Schäuble’s willingness to compromise – they were applauding the fact that Schäuble had finally said “No” to the Greeks, and they were not alone. An ARD-DeutschlandTrend poll conducted at the end of June put his support at 70 percent nationwide. What a strange reaction: Europe is struggling with the biggest crisis in EU history, and the dominant feeling among Germany’s ruling conservatives is one of relief: relief and surprise that eurozone finance ministers have finally ended their tortuous negotiations with Athens; relief and satisfaction that Merkel and Schäuble did not give in to a Greek government that has raised everybody’s hackles; most importantly, relief at being spared a difficult and divisive vote in the Bundestag on prolonging the Greek rescue package. Merkel’s party is, after all, deeply split on this issue, with the “No” camp steadily gaining ground. When the Bundestag last approved aid for Greece back in February, 29 parliamentarians from Merkel’s conservative bloc rebelled, voting against their own government. More than a hundred officially registered their reservations. For any party leader, this would constitute a dangerous situation. And Merkel has much to gain from waiting out the result of the Greek referendum. Either Greeks vote “No” to the EU’s reform demands and carry the responsibility for their country’s likely exit from the currency union; or a majority go against their own government in order to approve the EU package. That would leave Prime Minister Alexis Tsipras few options but to step down, ridding Greece, and Europe, of a – from Merkel’s point of view – thoroughly irrational and unreliable government. His Finance Minister, Yanis Varoufakis, who is particularly disliked in Berlin, has already said he would resign should “Yes” win. While maneuvering of this kind makes a lot of sense within the framework of party and power politics, the bigger picture of the Greek crisis is getting lost. 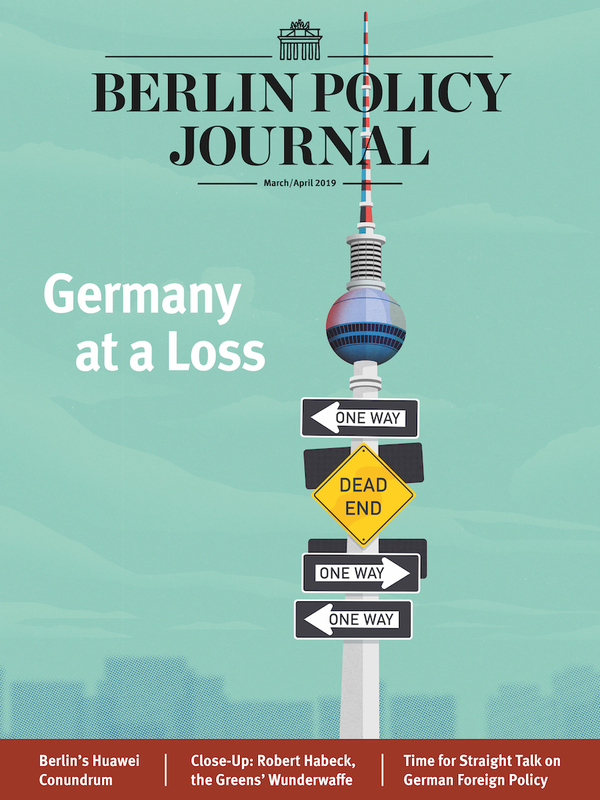 There is no discussion in Germany about how to restart the Greek economy – along with those of other countries of southern Europe – no debate on how to balance reform and growth. Nor is there a discussion about what these events mean for the legitimacy of the euro and of European integration. What will happen to the region as a whole if Greece really breaks down? The Social Democrats, Merkel’s junior partners in government, have certainly not raised any of these questions. Party leader Sigmar Gabriel’s rhetoric on Greece has lately been even harsher than Schäuble’s, and not even the powerful left wing of his party has challenged his stance. Disappointment over Tsipras’ failure to fulfill his election promises to combat corruption and levy taxes on Greece’s wealthy runs deep. It is not just the parties in government that are toeing Merkel’s line either. In the debate on Greece, the opposition hasn’t made much of a mark (no pun intended). The Greens wring their hands but have yet to propose anything substantial, and the populist, right-wing, euroskeptic “Alternative für Deutschland”, which should be crowing at this course of events, is occupied with infighting. 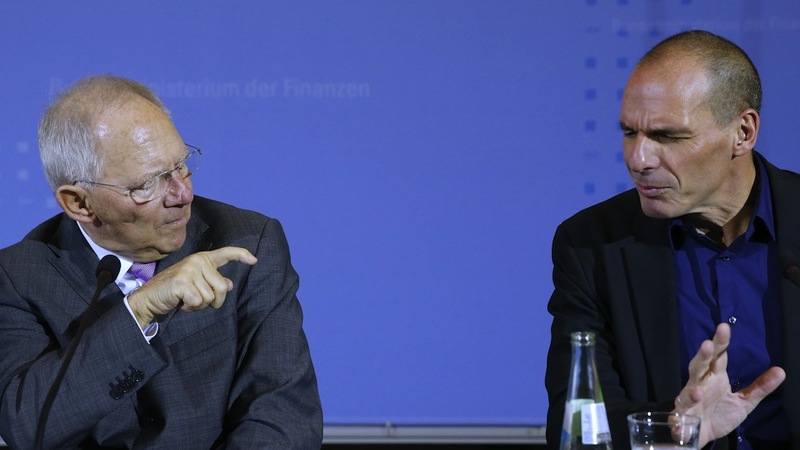 Gysi’s eloquence only highlights the absence of a more far-reaching debate. On this issue, the German public is completely behind Merkel. 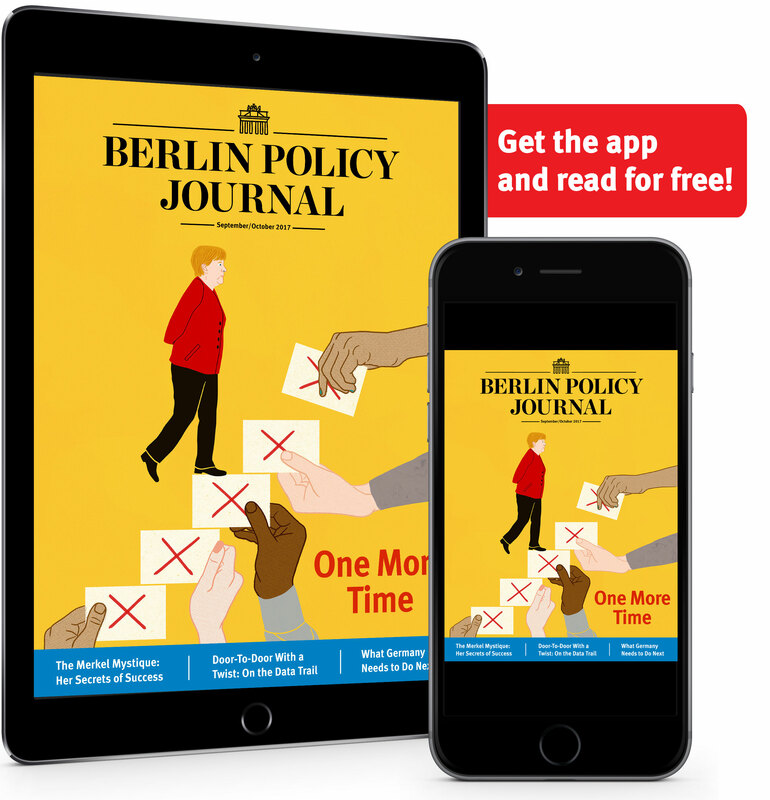 Having suffered through Chancellor Gerhard Schröder’s reform package (which was partly rolled back by each of Merkel’s successive governments), Germans firmly believe that others should take their medicine in turn. Hearing Tsipras and Varoufakis blame everybody else for Greece’s ills has just reinforced that sentiment. Greece’s recent demands for hundreds of billions of euros in restitution for World War II damages have even further soured relations. America is urging Germany to be more helpful in the Greek crisis, China is worried about its consequences on the world economy, and despite a long history of enmity even Turkey is concerned about the situation. But none of that seems to impress Merkel and the Germans. Whatever happens next in Athens, do not expect any quick resolution from Berlin.